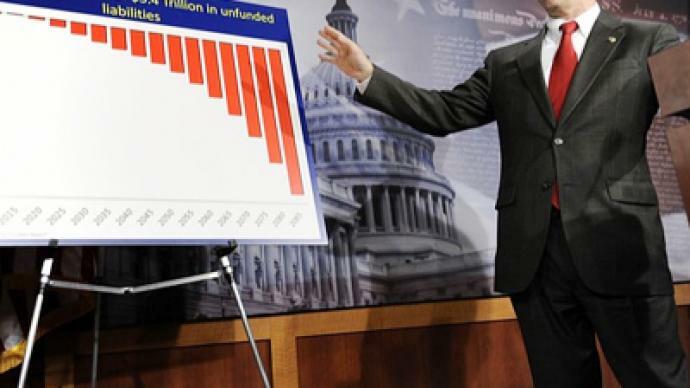 For Senator Rand Paul (R-KY), America is a “fortress,” but it cannot be defended by a deficit. Paul outlined his foreign policy at the Paul H. Nitze School of Advanced International Studies in Washington, DC. “We're out of money. Our foreign policy, an expansionist foreign policy, will end. Whether you agree with me or not it will end, because we are out of money,” Paul said. Paul outlined a foreign policy that focuses on the constitution and challenged bipartisan support for US military and humanitarian aid around the world. 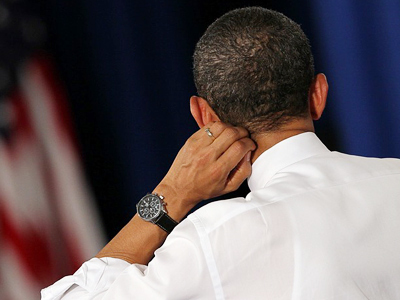 “By and large foreign policy has been bipartisan, with very little dissent in our country. That's why I am unusual and called names—anyone who brings up less intervention is called an isolationist,” Paul said. His father, Congressman Ron Paul (R-TX) favors withdrawal of all US troops from Iraq and Afghanistan. 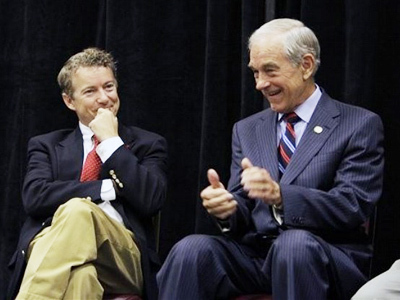 “Get the troops out of Afghanistan and end that war that has helped us and hasn't helped anyone in the Middle East,” said Ron Paul during the first Republican primary debate. But unlike his father, the younger Paul is not proposing immediate withdrawal of US troops, and said he supports increasing the percentage of America’s budget spent on the Pentagon—despite an 81 percent increase in defense spending since 2001. “When I prioritize spending, I think national defense is a constitutional function of government, so I think that it would have a priority for me over all other spending really,” he said. Jacob Hornberger, the president of the Future of Freedom Foundation explained that Rand is calling for a restrained foreign policy, but his plan still allows for the government to have too much power to enter into interventions – even if restrained. “Government should not even be engaged in intervening anywhere,” he argued. The restrictions on foreign involvement should be more than merely restrained. The military is for defense, not offense. Congress and American pundits often cast off arguments for non-intervention. Political insiders see this method as obscure because the approach limits and isolates government power – no one inside the government desires to lose their power. America was founded on non-intervention, where the government was not involved in foreign wars yet was a part of the world via business and cultural exchange.